IT’S MORE THAN MENTORSHIP. IT’S A MOVEMENT. Did you receive or give away a Be That Girl or Be That Guy wristband and card? Share your story with us. 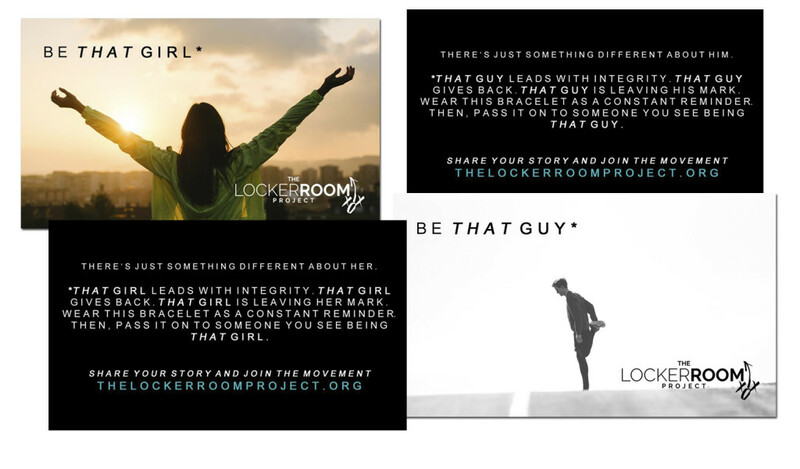 Are you a student-athlete interested in joining The Locker Room Project? Join our roster and we will send you the latest updates for our 2016 launch.